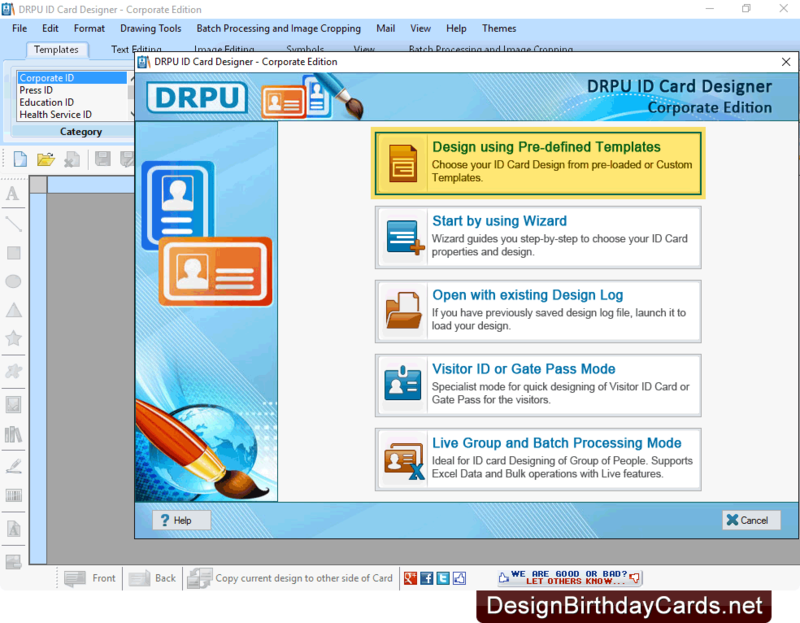 Software provides five modules to design ID cards. Select any one mode as we have selected 'Design using Pre-defined Templates' for demonstration. 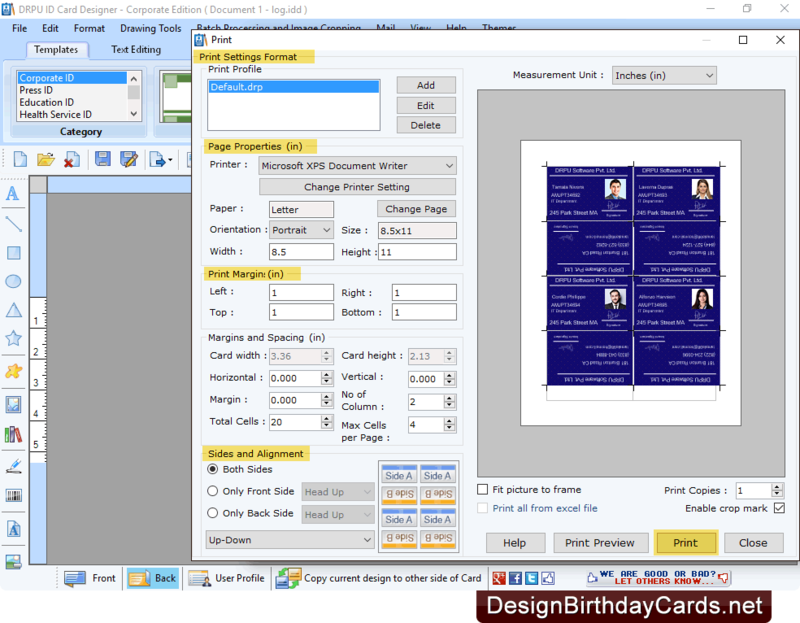 Select template category, sample, backgrounds, card size, and click OK button. 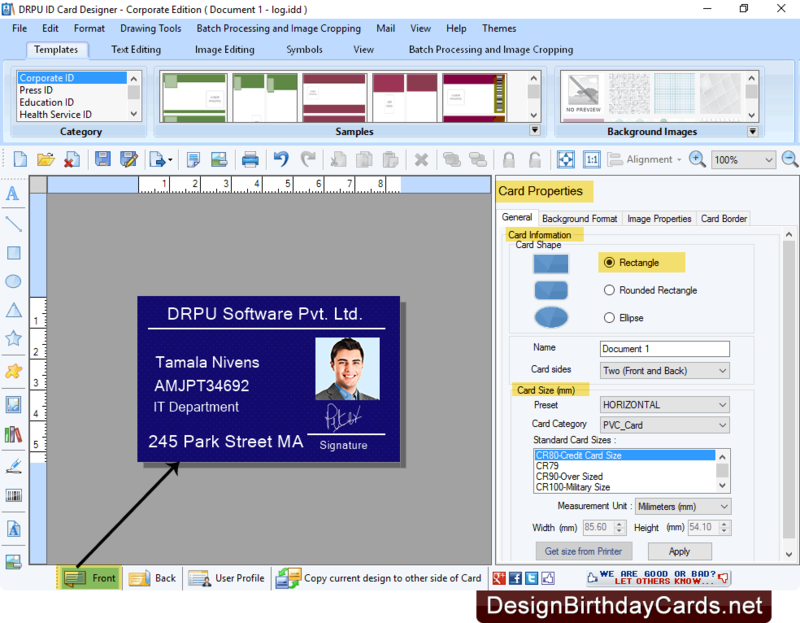 Now add user information on ID card using various card designing objects including text, signature, browse image, rectangle etc. 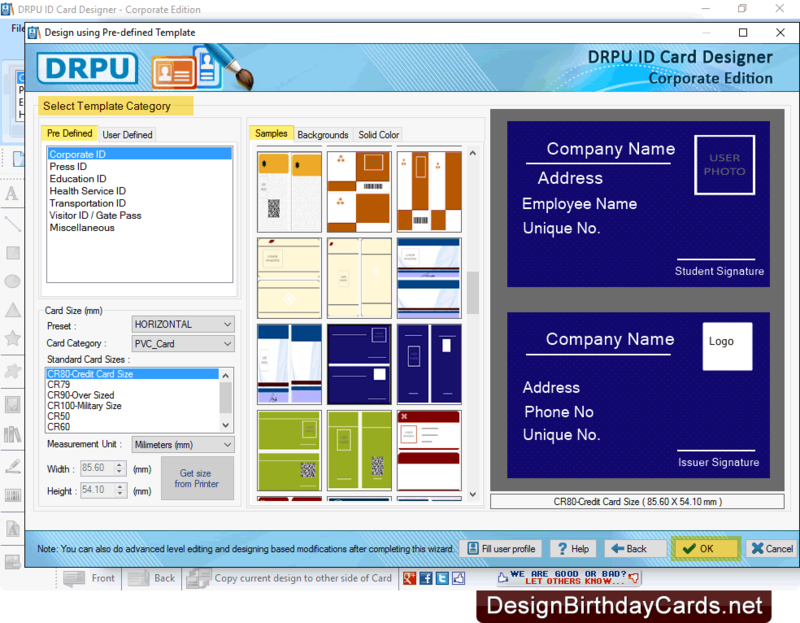 Add user details on back side of ID cards according to your requirement. 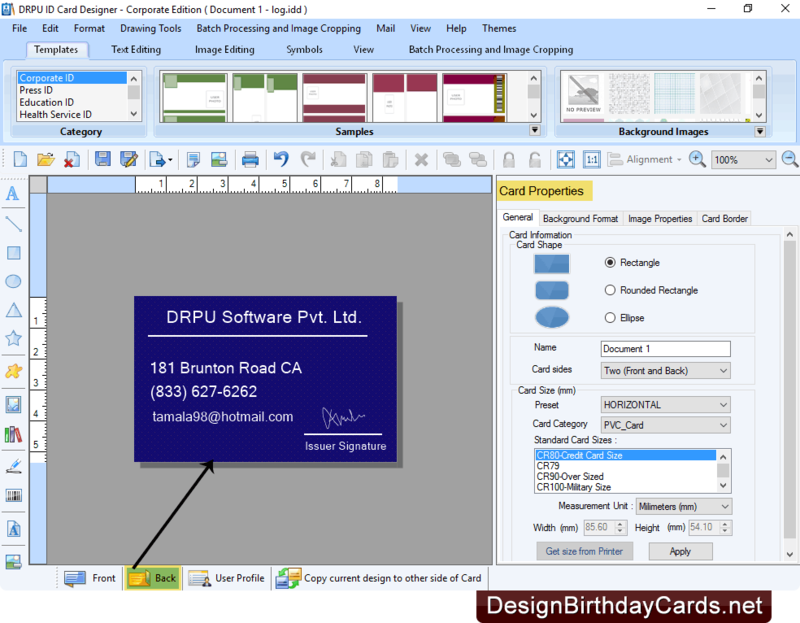 To print designed identity cards, set print settings and click on Print button.